Lance Makes is a website that has a plethora of STEM activities for first through fifth graders. You can find catapults, helicopters, and crash test cars, just to name a few. These projects are built from inexpensive, easy-to-buy materials which can be found at your local hardware store or online. Each project has lesson objectives, materials, and building steps. LEGOS or DUPLOS (in my opinion) should be a staple of any STEM space. 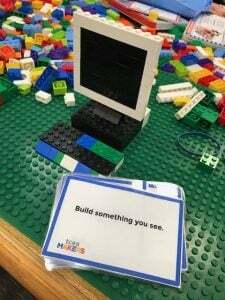 TCEA has a set of maker cards using LEGOs which will allow your students to tackle some great engineering activities. Download your copy here. 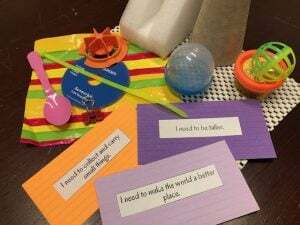 Check out Malia’s blog called “The STEM Laboratory” geared for PreK-second grade. 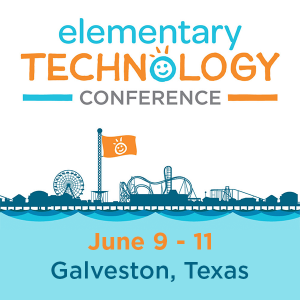 It is a great site to pick up STEM ideas for your preschool, kindergarten, and first grade students. Make sure you carve out some time when you check out her site as it is chock full of great ideas for year-round STEM. 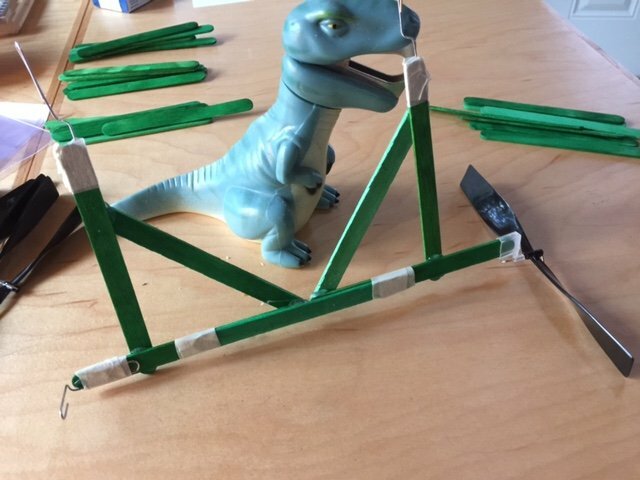 Propeller-powered zipline racers are a perfect addition to your STEM tool box. You will find the materials, steps, and a how-to video here. First through third graders will need a bit of help, but upper elementary should be able to master this build and have room to make modifications. Most of the materials are pretty easy to get a hold of (popscicle sticks, paper clips, string). Ready, Set, Design is another challenge I use on a regular basis with both my Maker and STEM/STEAM workshops. This highly adaptable design challenge can be used with children or adults in pairs or small groups. It is a great way to introduce “design thinking,” jump start collaboration, and engage all types of learners. Check out the three-minute short instructional video and how-to PDF guide. Girlstart is an Austin-based non-profit organization on a mission to increase girls’ interest and engagement in STEM through innovative, nationally-recognized informal STEM education programs. Since 2013, they have celebrated DeSTEMber with online activities all month. These 31 days of fun, innovative activities can easily be activated for use in the classroom. Check out the past five years here. I guarantee you will find something that will blow your socks off! Slime has to be a staple of any school year. Below you will find several recipes that should meet your ooey-gooey, gloppity goo needs. All of these STEM activities are a great way to start off the new school year, regardless of your curriculum focus. They will help to excite your students about learning and trying new things, which is perfect for this time of year.